Down the road from Hammersmith Underground station, the sound of people joyfully conversing in Maltese is recognisable to the trained ear. This must be the place. The door to the café is blocked due to an occurrence that is uncommon on a winter’s day in the capital; the customers are saying a long goodbye to the man behind the counter, even though it’s apparent that it has been their first visit. The man’s name is Joseph Pace. After I’ve eaten a pea pastizzi and a kwarezemal – a sweet almond cake baked for Lent – he comes over for a coffee and a chat with me. It’s a nickname inherited from my father, from Qormi. In Malta, families often have an unofficial name and as I’m my fathers son, I’m also Parparellu. Does it have a meaning in Maltese? Not really, no, but if anybody finds out it would be great for me to know. I’ve had a few people saying to me it could be this or it could be that but it’s never been explained to me what it actually is. Often Maltese nicknames don’t make sense. How long has Parparellu been open? Four months. It’s picking up well now. I think the Maltese have got to know about us and now other people too. We have people coming from Malta and they then go on to spread the word, telling people from London to come here too. We even have people coming from Australia. I’ve heard that in Australia they have pastizzi and they put different fillings in them. Do you think that supermarkets might start selling pastizzi here if you popularise them enough? Yes they do in Australia – salmon and rabbit. I think they also sell them in supermarkets there too. Frozen. Well, in England you do find Maltese products. You can get them online so it’s not like something that hasn’t been here. What hasn’t been here, which is where we fill the gap, is that we do fresh products. Our pastizzi come from Malta but everything else is made here. Yes. 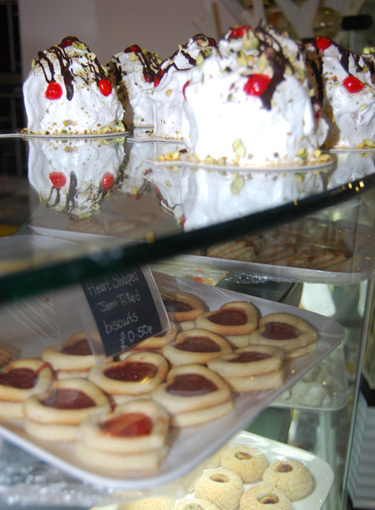 They are Maltese pastizzis and we sell them either freshly baked or frozen. Everything else – the timpana, the baked macaroni, the sweets – we prepare here. I know it’s a small snack the pastizzi, but it’s quiet a specialised little item. So what part of the process can’t you recreate in the UK? First of all to make the pastry you need big machinery, and it’s very time consuming because each one has to be closed in a certain way by hand. Even in Malta, most cafeterias buy them from the pastizzi factories. So what gave you the idea for opening Parparellu? I’ve been living here 23 years and, like every other Maltese, half of my suitcase gets filled with food when I visit the islands and return home here. But I think what I miss most about Malta is the feeling of the Mediterranean café, which is very different from the London feel. What I wanted to establish was a place to get the food that I missed and a place with a Mediterranean atmosphere. Plus, I wanted to make a platform for Maltese food, because in London you find food from all over the world but not Maltese, not freshly made and presented in a way that is tempting. How do you see the business evolving in the future? We want to do catering, which we will be promoting this year. Weddings and functions. Also putting our products out there more; for example, you will be able to order them on the Internet. Parparellu is not just about selling Maltese food it is also the Parparellu brand. For example, in Malta if you buy a kannol you would go to a certain place because you like the type of cake that a specific bakery produces. So for us, it’s very important that people want our food not just because it’s Maltese but because they know Parparellu food will be wonderful. What we are also trying to do is to become a platform for quality Maltese products. We already have Kinnie, Cisk… Twistees! We have also brought Maltese wines over. We have Marsovin and Ta’ Mena and in the future I want to bring more items: pickled Maltese capers for example; products that are beautifully made. It’s Mediterranean Malta produce that can easily match Spanish and Italian products and we want to judge our success on the responses of the non-Maltese clientele too. Is there a big Maltese community in and around Hammersmith? They don’t really seem to congregate in one area. This was one of our big problems to begin with: where to open the shop. We wanted somewhere was easily reached. Here the tube station is just five minutes away, there are good bus links and there is the motorway nearby so we have people coming in from outside London. The majority of our Maltese customers live in Fulham, which is just down the road from us, and they seem to mostly be 25 to 30-year-old professionals. Is one of your ambitions for Parparellu to be a place for the Maltese people living in London to congregate? I think at the weekends we are seeing this already. Just before you came we had a big group in here. What we are planning to do this year is events. On the 10th and 17th February, we are doing a Fenkata, which is the typical Maltese rabbit meal occasion. All the tables have sold out already. Yes; we listen to what people want, and we have been asked quiet a lot whether we’re going to do a fenkata. Even though Parparellu is a patisserie not a restaurant we can do cooked lunches like this, if we do them as an event with bookings. It will be mainly Maltese who book the events. For feasts, we will be doing events as well and advertising them on the website and on Facebook. Yes, and for Eurovision, which should be fun. How many staff do you have? There are four of us at the moment. One of them is my niece. Then we have two more, including the chef. It’s not such a big place – we can seat around 30. What are the most common questions that you get asked? Non-Maltese ask us where are we from, but we will soon have an awning that will clearly state ‘Maltese Patisserie’. The Maltese often ask us if the English people like pastizzi, and our answer is yes. And as our chat draws to a close…we go on to talk about the coffee he serves and Joe says that Illy is his personal favourite because it is very smooth. As we speak two young Italians come in and have espressos, somewhat proving Joe’s point. Parparellu is Joe’s ideal café and it seems as though many people share his tastes. Before I go he suggests that I try their signature treat: Kannol tal Rikotta. It is sweet – but on a sliding scale of sweet to savoury it would be near the middle. The flavor is subtle and moreish as is the combination of the crispy shell with the soft ricotta. It is clear that a lot of love has gone into producing this little snack, and likewise it is clear that a lot of love has gone into producing Parparellu. Parparellu just won a London foodie award, so hats off to them! 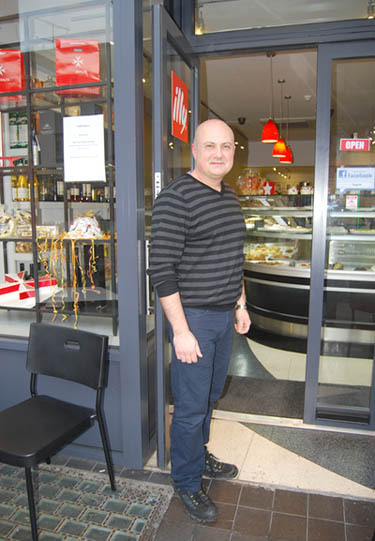 I am Maltese myself and it is sooo nice to go somewhere that sells Maltese food–The staff were extremely friendly–hey they were Maltese and friendly is our middle name. The food was great–nice and fresh–would recommend. Glad you came across this post and Parparellu. Not been there myself but hope to pop in when next in London. Well after many years trying to find a maltese place to eat it is only 20 min away. I will definitely be spreading the word here in high wycombe. Will be at the top of my list to get my order for pastizzi very soon. At long last, somewhere to go and get some real food, looking forward to my visit and good luck for the future. Right opposite my flat! 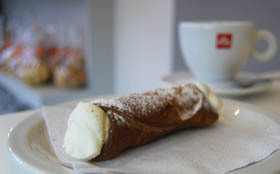 The Illy was great, the pastizzi a surprising treat. The boxed patisserie and wine went down really well as gifts.